Clic on this link to watch the video clip of Marshall Billingsley’s presentation on the current Gold Rush in Venezuela that has been set in motion by Nicolas Maduro’s illegal decree of the Orinoco Mining Belt (Arco Minero del Orinoco) and is devastating indigenous peoples, the environment, and poisoning rivers due to the rampant use of mercury. 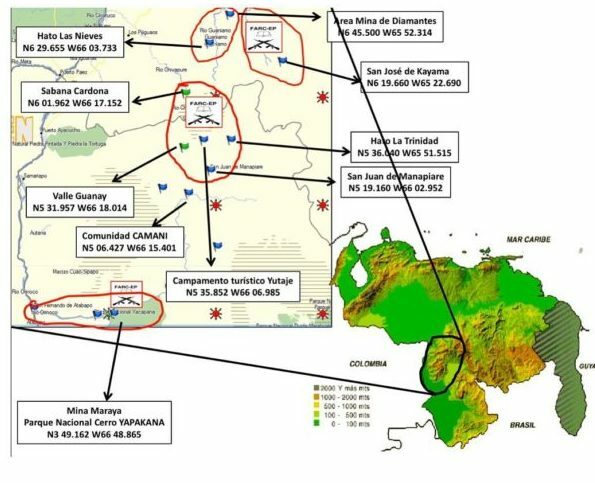 Maduro and senior officials of the armed forces are running illegal mining operations in conjunction with criminal gangs. In addition to the devastation, the big question is where all this gold is going to?